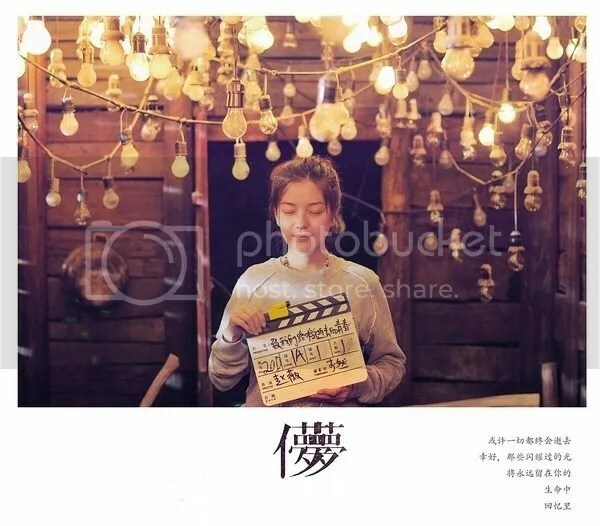 Zhao Wei, pretty even when she’s not in the film. Look below the cut to see posters where people break things in pretty color schemes. 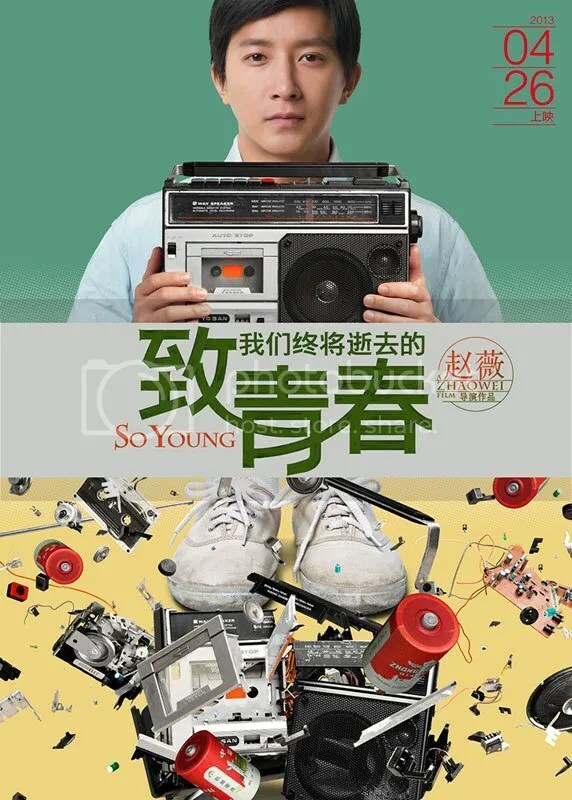 The movie is adapted from a novel called In Honor of Our Youth, Which Will Ultimately Depart (that’s another hint about the tone of the film). 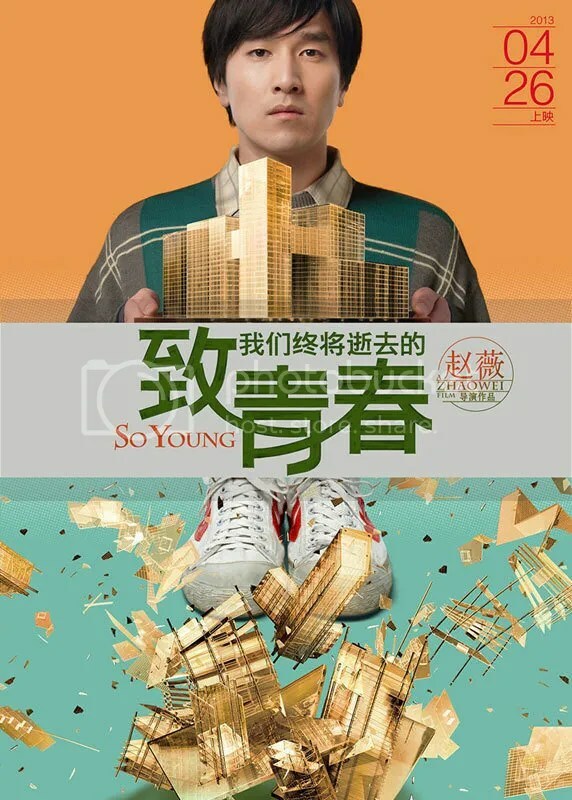 The film stars Han Geng, Mark Chao, Yang Zishan, Cya Liu, Jiang Shuying, Zheng Kai and Tong Liya. Look below the cut posters where people break things in pretty color schemes. 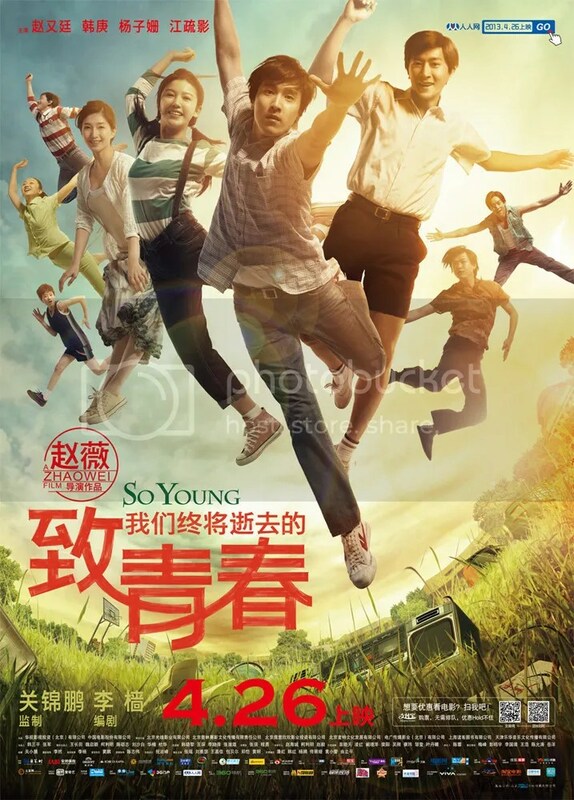 This entry was posted in Mainland China, Movies and tagged Cya Liu, Han Geng, Jiang Shuying, Mark Zhao, So Young, Tong Liya, Yang Zishan, Zhao Wei, Zheng Kai by jjss08. Bookmark the permalink. 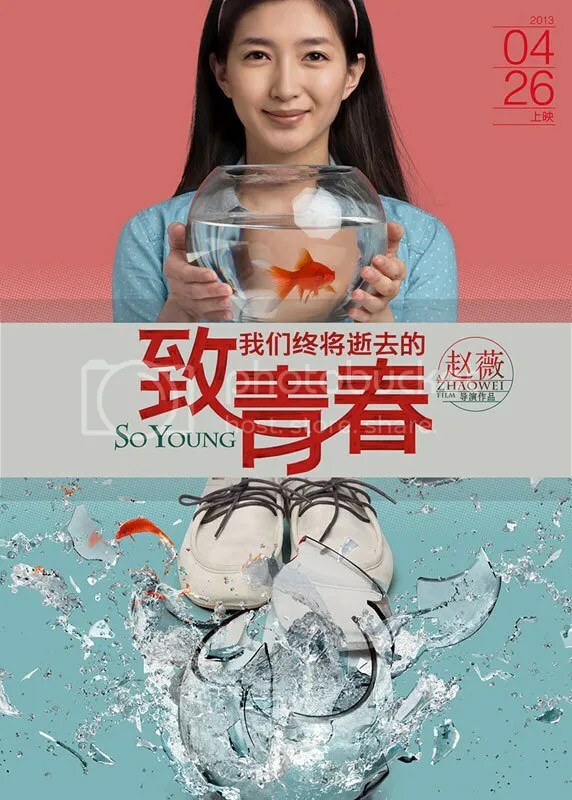 The girl reminds me of Tang Xiao in the first photo. 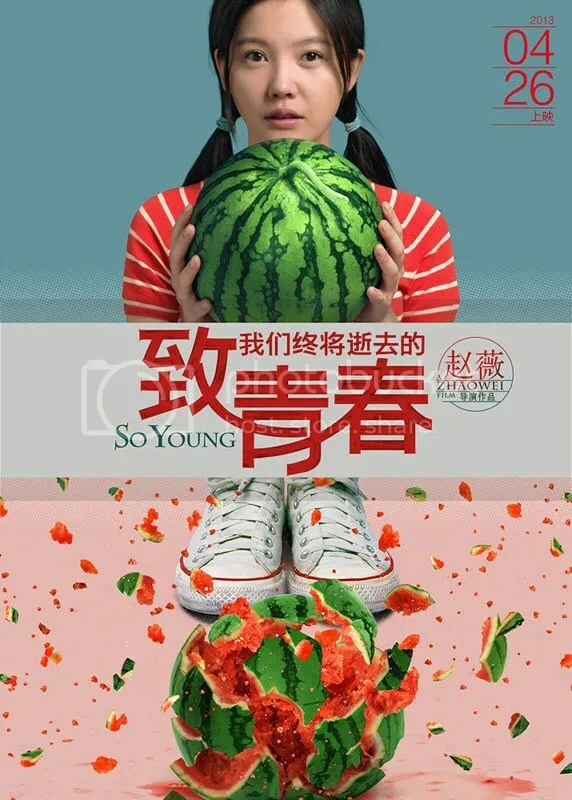 Really like the colorful posters, though!